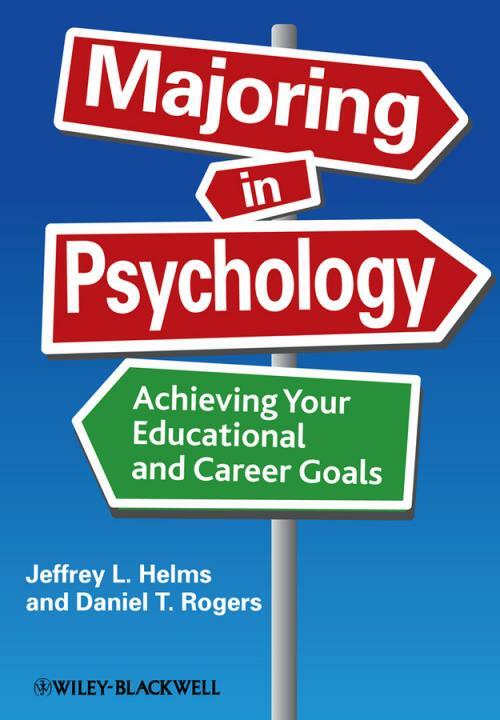 With coverage of important preparatory issues and the key psychology subfields, Majoring in Psychology: Achieving Your Educational and Career Goals provides undergraduate students with clear, concise, research-based information on strategies to begin a successful undergraduate career in psychology. Part I Majoring in Psychology. 1 Why Major in Psychology? 3 Succeeding in the Psychology Major. 4 Assessing and Developing Career Goals. 5 Using Your Bachelor's Degree. 6 The Preprofessional Degree: Preparing for Graduate School. 7 The Preprofessional Degree: Applying to Graduate School. Part II The Subfields of Psychology. 9 Careers in Industrial and Organizational Psychology. 10 Careers in Clinical Psychology and Counseling Psychology. 11 Careers in Educational and School Psychology. 12 Careers in Exercise and Sport Psychology. 13 Careers in Health Psychology. 15 Careers in Forensic Psychology. 17 Assessing the Career Outlook for the Psychology Major.